Self-storage falls into one of three asset classes (the other two being hotels and senior housing) that are essentially operating businesses attached to real estate. This obviously places more emphasis on the skills of the operator and, in the case of self-storage, it has translated into substantial room for improvement in operational efficiencies. In its early years, the industry was largely dominated by mom-and-pop operators and, even today, is still highly fragmented. As self-storage gained traction, large branded chains such as Public Storage, CubeSmart and StorQuest, entered the market and elevated business practices, quality of real estate and operating efficiency. 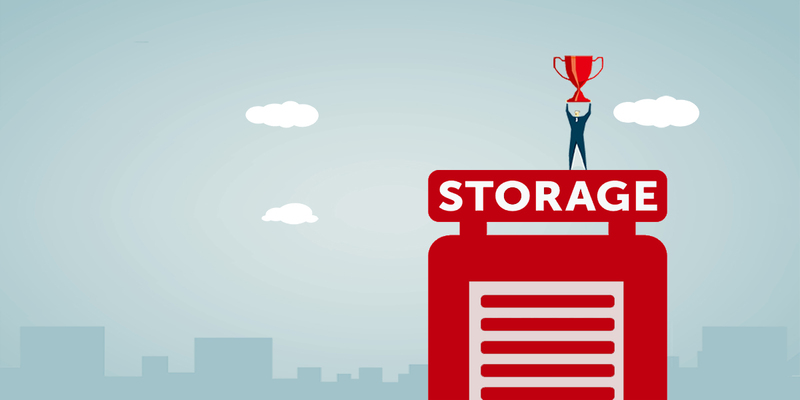 Today self-storage is less of the well-kept secret it once was due to growing institutional ownership and public reporting requirements of those entities. Based on our research publicly traded self-storage REITs have been one of the top performing sectors in recent years with a good track record of delivering dividends and stock appreciation. In fact, our research indicates that the industry has been considered by Wall Street analysts to be “recession resistant” based on its performance during the last economic recession. In this article, we will provide an asset class overview, highlight recent changes in use, discuss low-minimum options for investing in self-storage, and conclude with thoughts on how investors can use this information to make informed investment decisions. Self-storage facilities vary in size, quality and construction. Some properties have been designed and built specifically for self-storage, while others have been converted from a prior use such as a warehouse, car dealership or vacant big box retail. Properties can be one-story with drive-up access as well as multi-story that offer access via elevators and internal hallways. Storage properties rent units, often in different size configurations, on a month-to-month or short-term basis. Drive Up / Outdoor Bay: The first generation of self-storage projects were almost exclusively this type, which feature rows of storage buildings with outdoor roll up doors that are accessed by vehicle. They offer minimal security other than padlocks and on-premises video cameras, and are always one story in height. In exchange, they are typically the least expensive to rent. Climate-controlled: Facilities that offer climate controlled and humidity controlled space in all or part of properties have become increasingly popular over the past decade. People don’t want to store items only to return to clothing or furniture that is musty and moldy or documents that have been destroyed by mildew, and they are willing to pay a premium to protect their belongings. Specialty storage: Properties can cater to specialty storage needs within all or part of a facility, such as boats, cars, documents, wine and art. Mixed-use: Storage-facilities may boost income by incorporating a variety of other uses, such as adding retail or office space for lease. Properties also may operate complementary businesses at the same property, such as truck-rentals or a pack-and-ship franchise. Population growth: Self-storage facilities are a destination property, meaning that it is not an impulse stop where facilities need a high-profile location. However, customers also like convenience. Since population growth is a logical driver of storage demand, self-storage developers are looking at real estate more strategically and locating closer to their customer bases as they try to outmaneuver their competition. Storage does well in densely populated areas, as well as markets that are experiencing population and job growth. American consumerism: People buy a lot of stuff and have a natural reluctance to throw anything out. Suburban garages fill up quickly with a variety of memorabilia and toys from skateboards and skis to boats and snowmobiles. Transition: Self-storage gets an added boost in demand from people who are in transition that may need a temporary or even longer term storage alternative. For example, self-storage partially benefitted from the recession as people that were displaced from their homes or relocated to new jobs created demand for storage. Many storage facilities target locations near apartment properties where there tends to be a bigger need for storage and a constant ebb and flow of people. College students and members of the military are both attractive target demographics. Location: In the past, self-storage properties were located on the periphery of a metro or tucked away in the back of an industrial park. Over the past decade, self-storage properties have moved into urban centers to be closer to their customers. That shift has been propelled by the new trend of urbanization as demographics such as Millenials and Empty Nesters are moving to cities only to find that their new urban dwellings fail to offer sufficient space to store their gear. Storage facilities are following the rooftops. Design: Competition is one of the drivers that have helped to elevate design standards. As storage operators have pushed harder for retail locations that get them closer to customers, they are finding that they have to upgrade their image to both attract customers and satisfy city building and zoning requirements in those retail locations. In essence, the “no frills” storage properties of the past are being replaced with a new generation of facilities that emphasize upscale designs and even landscaping that position themselves as a more retail-friendly type of use rather than a property that needs to be hidden away in an industrial park or outlying rural area. As a recent Forbes article “How Humdrum Self-Storage Became The Hottest Way To Invest In Real Estate” discussed, investors are recognizing self-storage as a potentially lucrative property type known for generating solid and stable cash-on-cash returns with a lean operating strategy. Once someone rents a unit and moves in their items, they don’t visit it every day, which translates into a lower need to hire a lot of staff to manage properties. Self-storage also has lower costs associated with tenant turnover as there are no costly broker fees or tenant improvement dollars necessary to market units to new users. Also, the immediate reusability of a storage space is unmatched amongst other asset classes. Even industrial users often negotiate small upgrades such as refreshed bathrooms or improved loading when signing leases, which can both slow the time to re-lease as well as increase turn costs. While relatively simplistic in comparison to other asset classes, one factor for investors to take into account when weighing self-storage investment opportunities is that new, modern facilities have become far more expensive to build than the previous generation of facilities. Land costs alone in urban areas can be as much as 50 percent of a total project cost, according to the Self Storage Association. That higher cost is important to consider when assessing opportunities to invest in new developments. Will a project be able to charge high enough rents to justify the construction costs? Or when buying an existing property, a higher price may be warranted because the construction costs create a barrier to entry for competition entering the market. The bottom line is that the industry is evolving rapidly so you can’t use a decade old method of analysis when looking at the current competitive landscape. One mitigating factor to rental rate risk is that the self storage facilities typically rely upon lower occupancy levels in comparison to other asset classes. For example, the breakeven occupancy rate to service normal debt amounts for a self storage facility is usually 40% to 45% as compared to 65% or more for apartments, retail and office. Consequently, once delivered and stabilized, self storage facilities tend to hold value better and recover faster than other assets when real estate markets sour. According to data reported by NAREIT, self storage had the highest total annual returns over 5-, 10-, and 15-year averages in an analysis of five different property sectors from 1994 to 2011. When you put it all together, an asset class that is known to be recession resistant yet offer stable cash flow and, at a macro level, is characterized as a growing yet consolidating market, poses a relatively compelling argument for inclusion in a diversified commercial real estate portfolio.